Rio De Janeiro : Twenty journalists’ lost their lives and a Brazilian soccer team got devastated in a tragic plane crash on Tuesday. 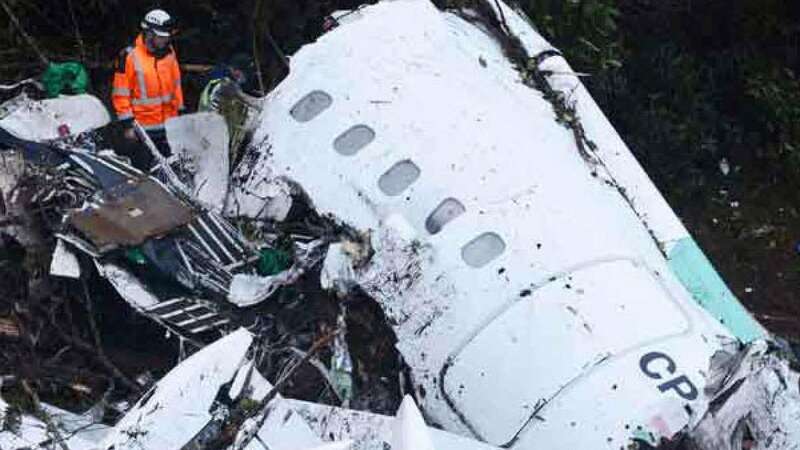 Authorities claim that 21 out of 77 members on board were journalists covering the Chapecoense team from southern Brazil and its upcoming South American Cup match in Medellin, Colombia. One journalist escaped death and joined the list of six survivors from the crash. The journalists, all men, included cameramen, photographers, commentators and reporters from radio stations in Brazil as well as larger media outlets such as Fox and Globo, a large Brazilian conglomerate. Among them was Globo’s Ari de Araujo.